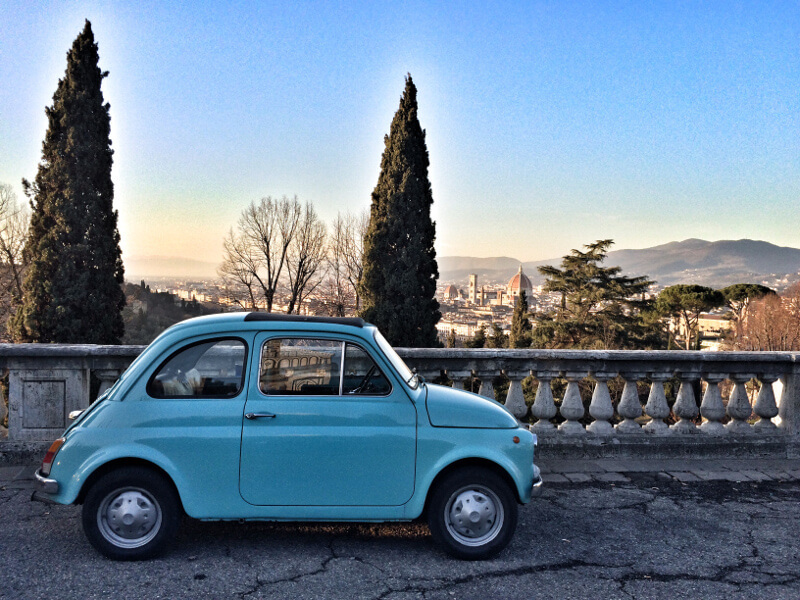 Get on board of a vintage fiat 500 car and discover the charming Tuscan landscape in a truly vintage Italian style. You will meet our expert local tour leader and start this unforgettable experience. The tour is perfect for couples or friends. Vintage Fiat 500 tour focuses on driving a vintage Italian car with a some stops along the way to get incredible photos. On the way back we stop at a villa to visit the wine cellar followed by a wine and olive oil tasting accompanied by salami selection. The 4 hours experience will take you to explore the gorgeous tuscan hills. This is the perfect experience for savoir the Allure of Tuscany. 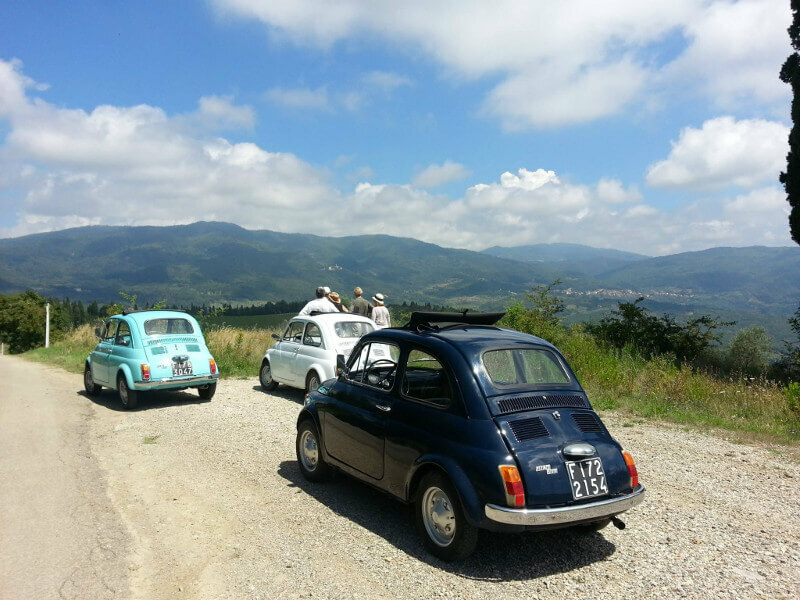 We are dedicated to organize Tuscany Vintage Fiat 500 car Tour in Tuscany for individuals, couples, families and groups.